The scope of practice is crucial, as you need to be familiar with procedures, actions and processes of the facility in question. Other factors that may impact the scope of practice include the facility’s policy, patient needs and state law. When partnering with VISTA, our recruiters can help ensure you have a clear understanding of the role, what is needed and the qualifications for the position. They are also involved in matching you with facilities to make sure it’s a good fit. What type of electronic health record (EHR) system does the facility use? It’s important to know what system they use and the administrative duties required in the role. Will there be on-site training, or will you be expected to learn the system on your own? This may be a major factor in your decision, as EHR systems are often complex. How will you travel to your assignment? Is the facility in proximity to hotels or rental property? Where will you live during your assignment? Who is responsible for making these arrangements? In most cases, your recruiting agency will cover your travel and housing expenses. At VISTA, we leverage our full-service, in-house travel department to coordinate with providers to plan cost-effective and convenient travel options. What type of licensure and credentialing is needed for the position? Will you need a new state license? Some positions, like our government positions, will accept any state license. Many states, like Maine, offer a temporary license that can be issued in a matter of weeks. Some states are also part of the Interstate Medical Licensure Compact (IMLC), making it easier than ever to work in multiple states. Work with your recruiter to understand licensing and credentialing requirements, and in some cases, he or she can help expedite the process. As an independent contractor, you will most likely be paid hourly, and your pay rate will be based on the type of work you’re hired to perform. Before accepting an assignment, be sure to understand the compensation - as well as bonuses, overtime and shift differentials - to guide your decision. Partnering with a recruiting agency like VISTA can help alleviate any payment discrepancies and ensure a smooth compensation process. Locum tenens assignments usually don’t last forever, and it is important to understand what happens during an assignment and once it has ended. Your recruiter should keep the line of communication open for you to ask questions or voice any concerns during the assignment. At VISTA, we also conduct post-assignment evaluations to gather information and feedback that will help us find future assignments on your behalf. This will also help to create a smooth transition from one assignment to the next. Considering these factors will help you make an informed decision when reviewing a potential assignment. 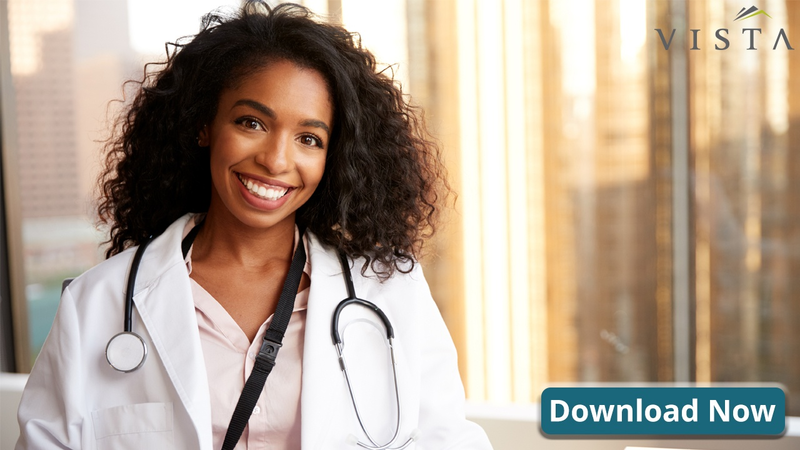 For clinicians considering their first locums assignment, read our Guide to Locum Tenens for even more insight into this exciting career option. Founded in 1990, VISTA Staffing Solutions helps hospitals, medical practices, and government agencies in the US optimize their physician staffing, ensure quality and continuity of care for patients, and maintain financial stability. A leading provider of US Locum Tenens and Permanent Physician Search Services, VISTA has over 28 years of experience providing award-winning service in the locum tenens industry. Founded in 1990, VISTA Staffing Solutions helps hospitals, medical practices and government agencies in the US optimize their physician and advanced practice staffing, ensure quality and continuity of care for patients and maintain financial stability. Headquartered in Salt Lake City with additional offices in Atlanta, Plantation, Dallas and Houston, the company has shown consistent profitability since its second year of operation. VISTA Staffing Solutions is a member of the National Association of Locum Tenens Organizations (NALTO), an industry standards group established to ensure sound business practices. NALTO members are held to a strict code of ethics and dedicated to providing quality service to the health care and medical staffing industry. VISTA Staffing Solutions is a gold sponsor of the Association of Staff Physician Recruiters (ASPR), and an affiliate of the Medical Group Management Association (MGMA).